From February 2016 until June 2016 I was interning with the Galtung-Institut for Peace Theory and Peace Practice (G-I) located in Grenzach-Wyhlen (Germany) close to Basel (Switzerland). Since I was studying in Passau (Bavaria) at that time and was busy writing my Bachelor’s thesis, the director of the G-I, Naakow Grant-Hayford offered me a remote internship, which I was more than glad to begin. What did I do at the Galtung-Institut? First of all my background: I studied International Cultural and Business Studies at the University Passau with a focus on international politics. Therefore I wanted to write my BA thesis on a related & relevant subject. I was already engaged with the theories and concepts of Johan Galtung through a peace studies school in Indonesia and already knew about his work before getting in touch with the G-I. For my thesis, I used the concept of structural violence to explore the situation of refugees in Germany. The Galtung-Institut supported me from the beginning until the very end with literature, essays, papers and materials for my theoretical approach. But not only that, the team of the institute was always available for me to discuss, argue or help generate new inspiration regarding my thesis. Whenever I thought I was stuck, the institute assisted me and helped me look at my topic through a different perspective. In the end Naakow Grant-Hayford and I ended up publishing a paper about structural violence based on our discussions on the topic. This was my first publication in my young scientific life and therefore I want to thank Mr. Grant-Hayford and the institute. In addition to this academic dimension, I assisted the administration of the G-I as well. For a few hours per week, I was doing research for projects or whatever admin work I could help with. In July 2016, I could assist the Galtung-Institut set up and carry out their Summer Academy which I really enjoyed doing, in addition to the content of the summer academy itself. What I am very grateful for, is that Naakow Grant-Hayford designed the Internship program for me specifically and tailored it to my interests and needs. The G-I generally strives to craft an internship for everyone as he or she needs it. So it is individualistic and suitable to one’s needs, if you are motivated and dedicated thinker interested in applying the theories you learn in real life circumstances, this is for you. 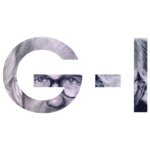 I am also very grateful to continue working with the team of the G-I as I have decided to stay on in order to continue with the Galtung-Institut’s YADIP program for students interested in the skillset required to become mediators in international contexts. I look forward to becoming a G-I certified Conflict Transformation Specialist.